The present owner is Michael Reuter. 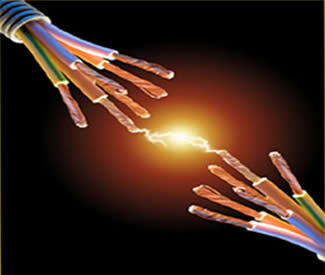 We specialize in Industrial, Commercial and Residential electrical contracting. Our belief in professionalism, coupled with adjerence to safety standards and regulations, has earned us an outstanding reputation. All of our electricians are licensed by the State of Wisconsin as Master Electricians and can handle all of your electrical needs with 75 years of combined experience. We offer Fiber Optic and Data work, layout and design. Thermal Imaging and Power Factor Metering. Installation of UL listed Control panels, underground and overhead medium voltage electrical work, metering, fusing and distribution, along with old fashioned switch and receptacle replacement! Whether you need your facility or equipment running smoothly, your systems monitored, an emergency taken care of, or you need to get an electrical installation expedited to meet a deadline, we will provide you with expert service. We also offer a Retail Store where parts can be purchased, ordered and picked up. We carry a large selection of parts and have excellent support from various vendors for those “special” parts. Come and see what we can do for you today!